Coolpad a very famous China based mobile manufacturer has launched its new flagship smartphone the Cool Grand 4. 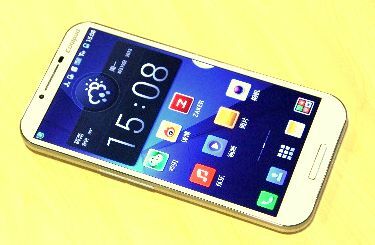 The handset was launched at press conference held in Beijing, China Telecom. Oppo also launched a new smartphone with rotating camera and rear touch panel, the Oppo N1. The features and specifications of the Coolpad Grand 4 are quite impressive. Cwatch ( cool cool smartwaatch) was also introduced which is compatible with the handset. The Grand also comes with Coolhub (optional) which is a wireless charging dock and coolhub 2 which monitors Health data with the help of sensors. The Grand 4 comes with 5.9inch Full HD 1080p capacitive touch screen display. The mobile phone draws the power from NVIDIA Tegra 4 Quad-core processor which is clocked at 1.8GHz. It has 2GB RAM which makes multi tasks and graphics rendering smooth and lag free. It packs with 13 megapixel camera with aperture of F2.0. It houses 3000mAh battery and runs on Coollife UI 5.0 system. It features Dolby SD 1 technology which enables 7.1 channel, 3G, WiFi, Bluetooth, GPS and NFC. The Coolpad Grand 4 supports Dual SIM ( GSM+CDMA) with Dual Standby. The price of the Coolpad Cool Grand 4 is 3,980 Yuan / about Rs 40,000 in India.